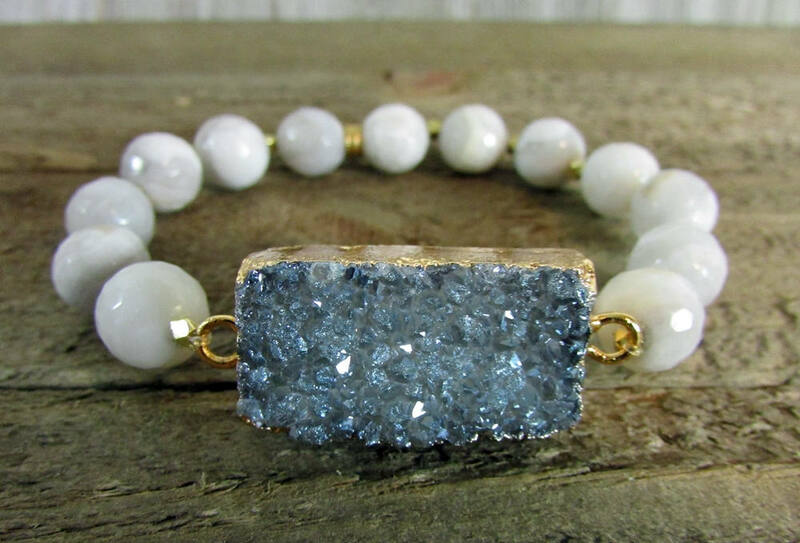 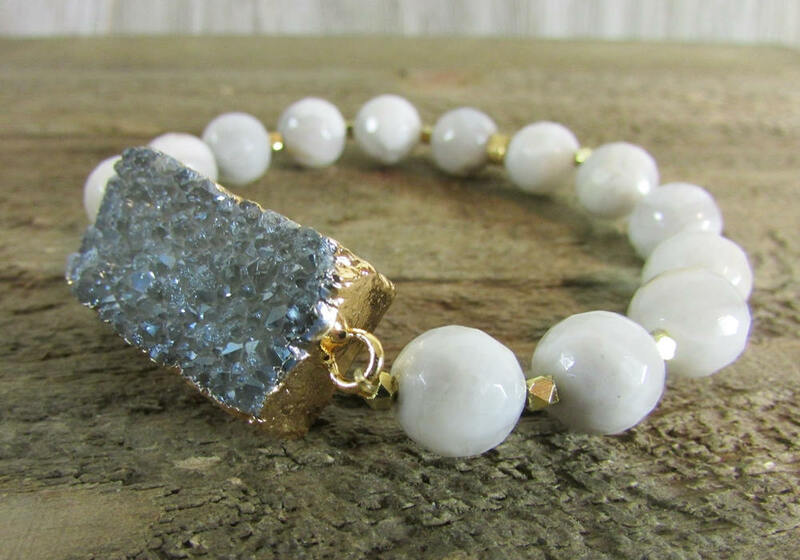 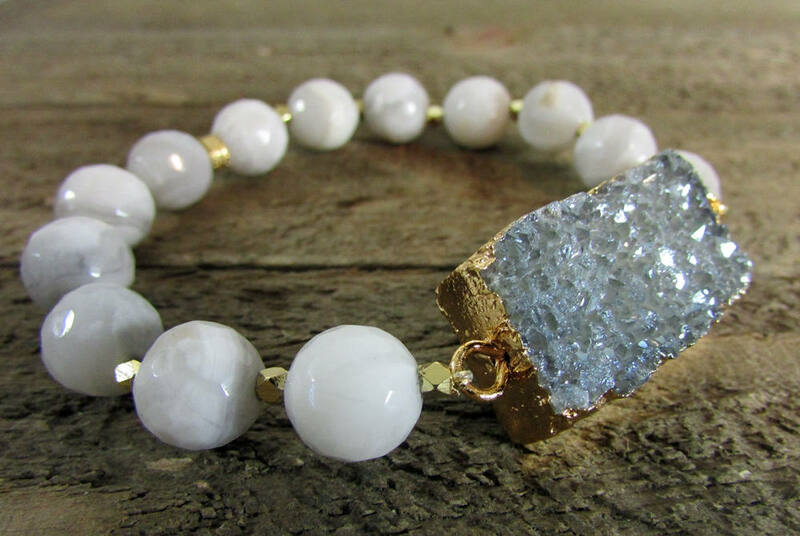 This slate gray druzy focal bracelet is made with 10mm milky white agate and a slate gray druzy focal. 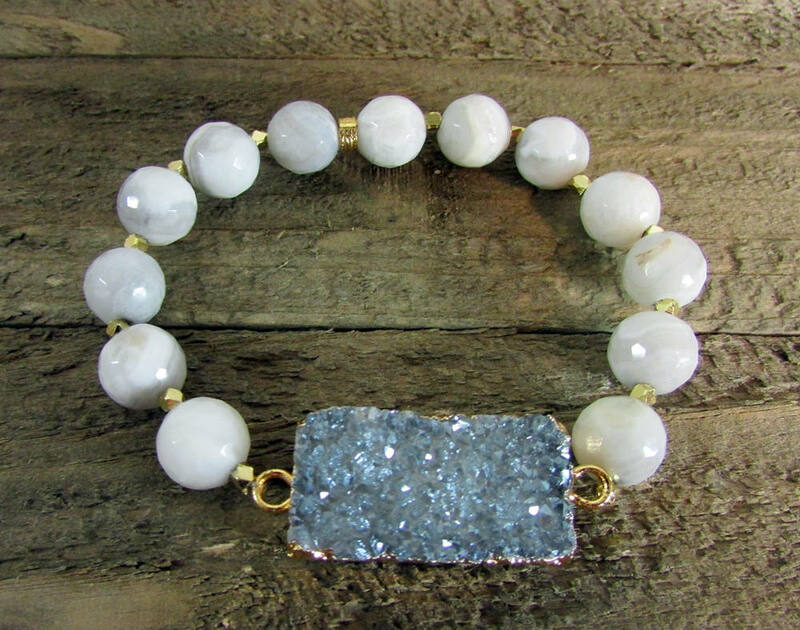 The bracelet will fit wrist from 6 to 7 1/2 inches. 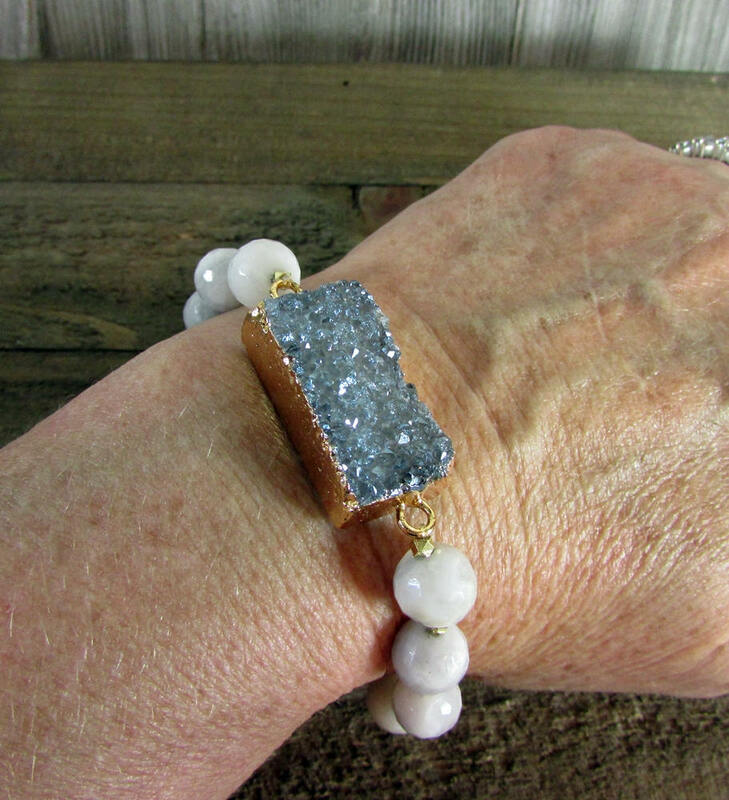 *Wrist size 6 to 7 1/2 inches.